Auto Lending Fraud Predicted to Top $6 Billion in 2017 | The Consumer Law Group, P.C. According to the latest data analysis conducted by a private fraud assessment group, auto lending fraud will reach nearly $6 billion dollars in 2017, more than double the amount of auto loan fraud identified in 2016. Point Predictive, a risk management company located in San Diego, based this prediction on the record high rates of auto lending in 2016 and common practices of misrepresentation and dealer fraud. Known fraud. When a borrower applies for a loan with false information or a car salesperson misrepresents the sale and the lender catches it, this is considered known fraud. Although it is stopped before a loan is actually approved, it still costs the industry money. Hidden fraud. When a dishonest loan applicant misrepresents himself and is approved for a loan, he often defaults very early in the loan—sometimes even before making a single payment. This type of fraud is often misidentified as early- or first-payment default. Hidden fraud also occurs when a salesman misrepresents the price or condition of the car on a loan application. 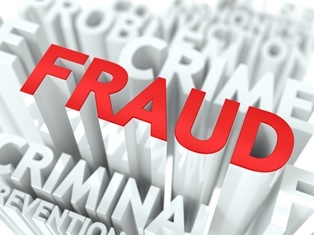 Point Predictive believes hidden fraud may account for the majority of auto fraud risk. Dealer fraud. Although perpetrated in only a small number of dealerships, this type of fraud is harmful to consumers and the industry as a whole. It occurs when a single employee or small group of employees at a dealership tampers with a consumer’s loan application before sending it to the lender for approval, for example, increasing your income without your knowledge. This often results in a loan approval that leads to a default since you may not be able to afford the monthly payments, and it can include some kind of kickback for the dishonest employee. Costs such as these hurt all consumers in the long run. If you believe you were the victim of loan fraud, report the dealership to Federal Trade Commission (FTC) and contact The Consumer Law Group, P.C. today.